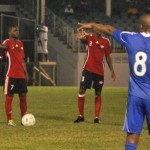 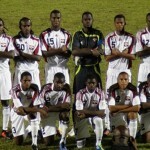 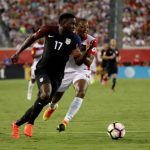 The Trinidad and Tobago national football team started its 2012 Caribbean Cup finals campaign this evening with a goalless draw against Haiti at the Antigua Recreation Ground, Antigua and Barbuda. 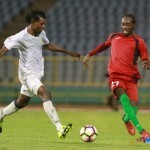 Antigua and Barbuda faces the Dominican Republic later tonight in a Group A double header at the Antigua Recreation Ground. 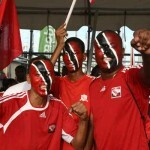 T&T: 1.Jan-Michael Williams (capt); 17.Daneil Cyrus, 20.Seon Power, 5.Carlyle Mitchell, 2.Aubrey David; 18.Densill Theobald; 7.Hughtun Hector, 10.Kevin Molino (16.Keyon Edwards 81), 3.Joevin Jones, 8.Ataullah Guerra (11.Kevon Carter 73); 14.Willis Plaza (12.Lester Peltier 46).